Yes, Improving Employability Every Day is our “Why” and how we do that is through making great courses so youth and adult learners gain Industry IT Certifications, graduate our programs, and get employed! 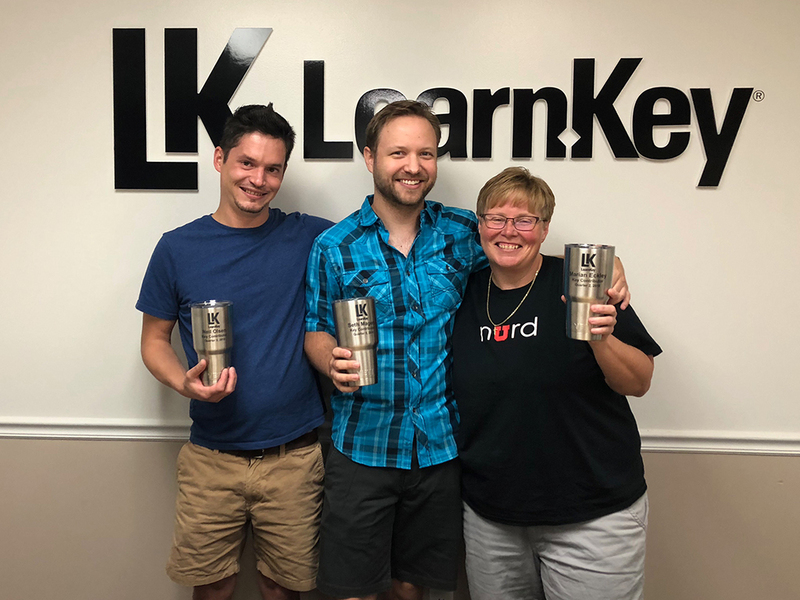 While LearnKey is known for great Video-based training we do provide additional content with each course including: labs, assessments, lesson plans and workbooks. Therefore, our production team consisting of video editors, technical writers, quality control, and system support staff have to always be working in sync to meet our course deadlines. 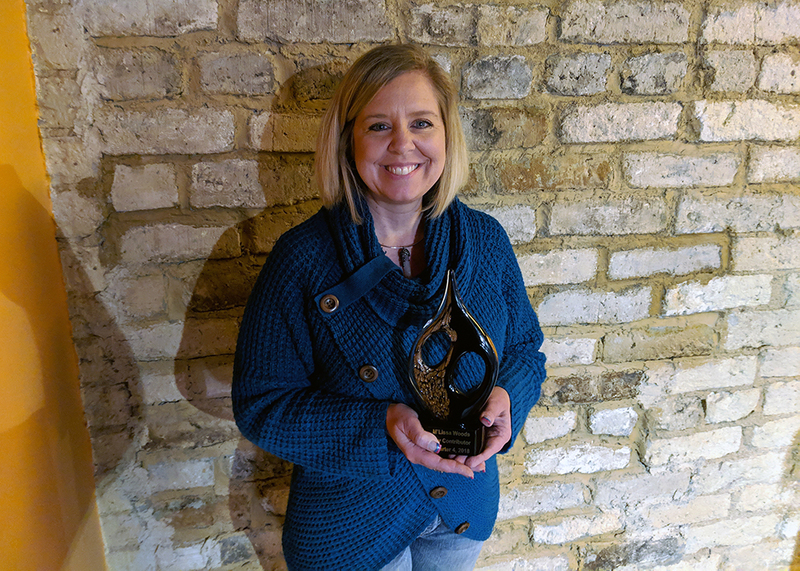 Our newest Key Contributor Award Winner M’Lissa Woods is making quite a name for herself by leveraging her amazing technical writing skills. M’Lissa joined us in July 2018 her first project was to complete Microsoft Technology Associate (MTA) workbooks for courses we shot earlier in the year. She jumped right in and after four months completed more than double, ten (10) workbooks a normal writer could complete in that period. Her ability to process work alone with focus and strong organizational skills are second to none. This not only ensured we released these courses on time but she also really embraced our core values (Ease, Value, and Trust) which is huge for our culture. Her work is of great Value requiring minimal QC efforts, she immediately built a great deal of Trust with her peers, and she is very Easy to work with as noted by her manager and peers. M’Lissa is going to help us reach our goals for 2019 which by the way are pretty lofty: Produce eighteen (18) courses including Microsoft 2019 series and our Signature CompTIA A+ course, migrate our students to a new learning management system & student information system, as well as provide more tutoring and customer support for our VA students. It is great to know we have employees like M’Lissa on our team to help us along the way. 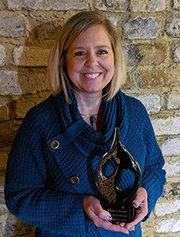 We feel very fortunate to have M”lissa on board and if her name sounds familiar that is because her husband Kelly Woods is a previous Key Contributor Award Winner– so it runs in the family! Please join me on congratulating M’Lissa for this great accomplishment. We are always looking for organizations that align to our why “Improving Employability Every Day”. Be it social services organizations, K-12 & post secondary schools, employers, and not-for-profits. The good news is there are a lot of programs educators can leverage and share best practices around that are going to help youth, adult, and under-served learners gain key in-demand 21st century skills. 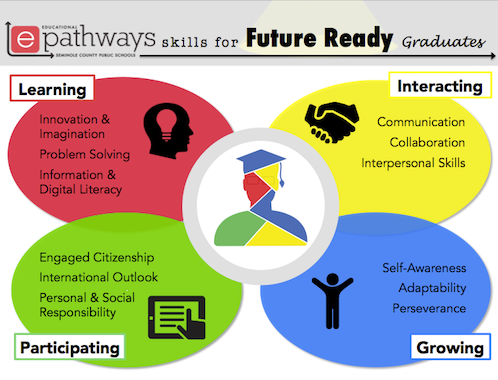 Here is a program we are pretty excited about that enables educators to prepare future-ready schools (FRS). Their effort to maximize digital learning opportunities and help school districts move quickly toward preparing students for success in college, a career, and citizenship is something we fully support and applaud. We work with hundreds of schools and districts nationwide that use our video-based courseware in the Business and Career & Technical Education programs. Every year we learn about more success stories and the FRS program is pretty impressive. The future-ready school programs and partnerships support, thousands of district leaders have planned and implemented personalized, research-based digital learning strategies for millions of students to achieve their full potential. 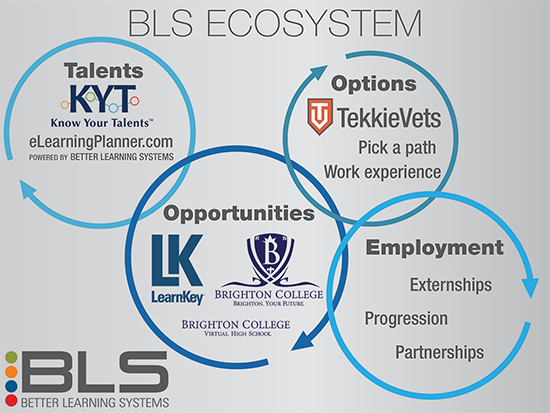 At LearnKey our goal is to offer employability skills learning programs that teach 21st century in-demand skills. Therefore, we want to ensure our curriculum, instruction style (i.e. scenario-based), and assessments are tightly aligned with and designed to engage students in personalized, technology-empowered, deeper learning experiences that build life-long learning skills. This year our new learning management system (OnlineExpert.com) is getting a significant makeover/technology upgrade that will drive more engagement and collaboration between learners and instructors. It has been proven that learners who successfully “learn how to learn online” have over a 70% greater chance to become successful lifelong learners. Why is that important to us? Well, since lifelong learning is the “ongoing, voluntary, and self-motivated” pursuit of knowledge for either personal or professional reasons it not only enhances social inclusion, active citizenship, and personal development, but also self-sustainability, as well as competitiveness and employability. That goes back to our “Why” which is improving employability every day! Stay tuned as we introduce other successful learning organizations that support great causes such as lifelong learning! 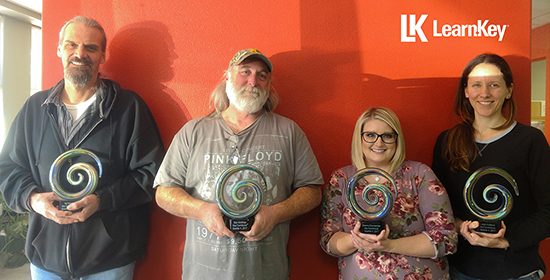 LearnKey Video Production team takes top honors! It is one thing to task a video production team to create the best video based training IT & Career Ready courses, then its another when the not only meet and exceed their goal, but decide to move their entire office at the same time. I am pleased to announce Marian Eckley, Neil Olsen and Seth Magers are the recipients of LearnKey’s Key Contributor Award for the second Quarter of this year! They truly represent our core values Ease- with the way the managed to transition out of one studio into another, Value- in that during the entire move the managed to stay ahead of the production goal and trust – making sure everything was done just right. That included finding the right office, negotiating a win/win lease and coordinating the move at a time when there would be no delay in production. just like previous LearnKey Key Contributor Award winners they achieved these results without being told what to do! Our senior instructor Jason Manibog had this to say ” Marian started with getting the right person lined up to understand what we needed in a new office (i.e. decent space, little noise, the right price, etc.). From there, Seth and Neil took the “can do” approach to coordinating the removal of what was not needed and coordinating what needed to be moved. 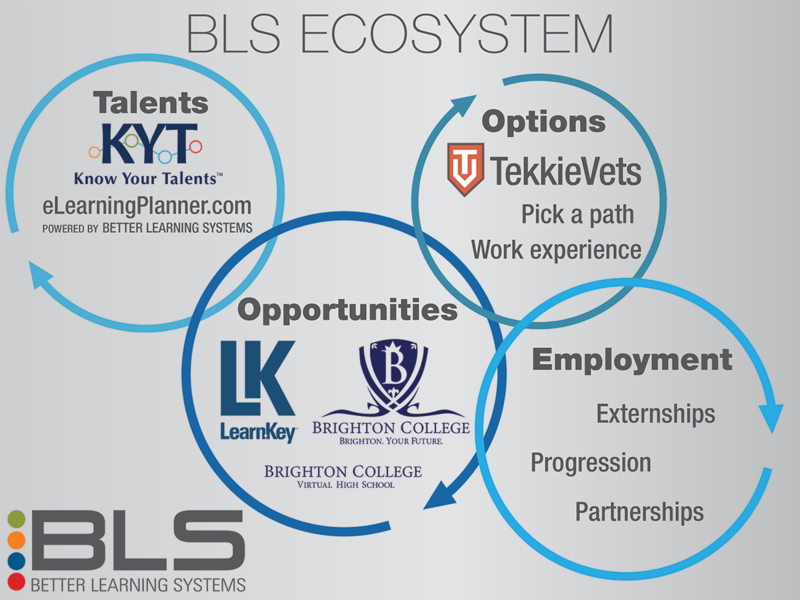 LearnKey’s “Why” is Improving Employability Every Day. This team makes sure our courses “scream ” that message and I am just glad that their new office is something that gives them the best environment to keep doing that with each and every course they produce. 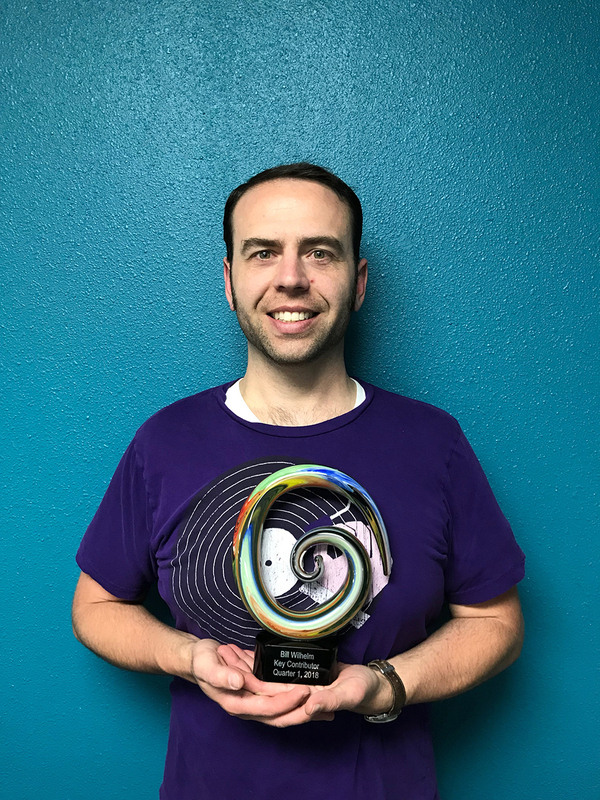 Key Contributor Award Recipient: Leverages his creativity for LearnKey! Designers are so cool and we have an awesome team of them (Bill, Chris and JJ). They make our courses “pop,” hold attention, depict a learning scenario, and many more types of themes. It’s not always easy to be creative on demand which is why the way they work together is amazing. 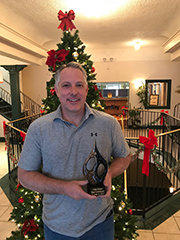 Our key contributor award is given quarterly to an individual or team that goes above and beyond in demonstrating our “why” – Improving Employability Every Day – or core values: ease, value, and trust. This past week I had the honor to present Bill this award in person and it was the best part of my week. Thank you Bill for all your contributions to LearnKey as we truly feel so fortunate to have you on our team! Today I am please to announce our Key Contributor award winners for Q4 2017: Val Deuel, Bart Giddings, Sheena Chamberlain, and Leigh Kulbacki. Just like all our employees, they play a very important role in our company, as one of the most important aspects to our business is making sure that all of our digital employability learning solutions have the proper grammar and spelling for all our assessments, labs, and written content. They must also ensure all our video training has the quality so we always deliver an exceptional learning experience. Thanks to our awesome Quality Control team they are always there to catch all the errors and help us avoid re-work. This past year they took it one step further by taking on transcribing and closed captioning most of our courses released in 2017. That was an amazing accomplishment as the results were transcribing 51 sessions and completing the closed captioning for 31 sessions. This resulted in a 27% increase in productivity! Our “why” is improving employability every day. My goal is to make sure that everyone in the company knows how they impact that why. I am proud of this team as they truly know the importance of their role in our company and really stand for our core values: Ease, Value, and Trust! 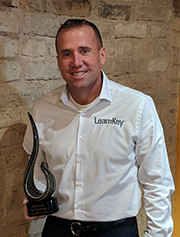 Please join me and the rest of the LearnKey/Better Learning Systems family in congratulating them on this great accomplishment, and one thing is for sure: they are not going to like that I wrote this blog without them checking it before it gets posted! But what the heck, sometimes you have to go out on the edge. After all, it’s the thought that counts! I am pleased to announce a new team member, Lara Skutt, who earlier this month joined the Know Your Talents (KYT) team. 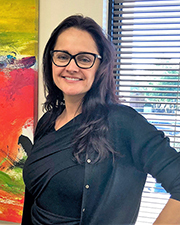 Lara’s role is Chief Flourishing Officer as her passion is leadership development, coaching/counseling, and training, which has brought her to join Melanie, Sarah, and Lori’s team. 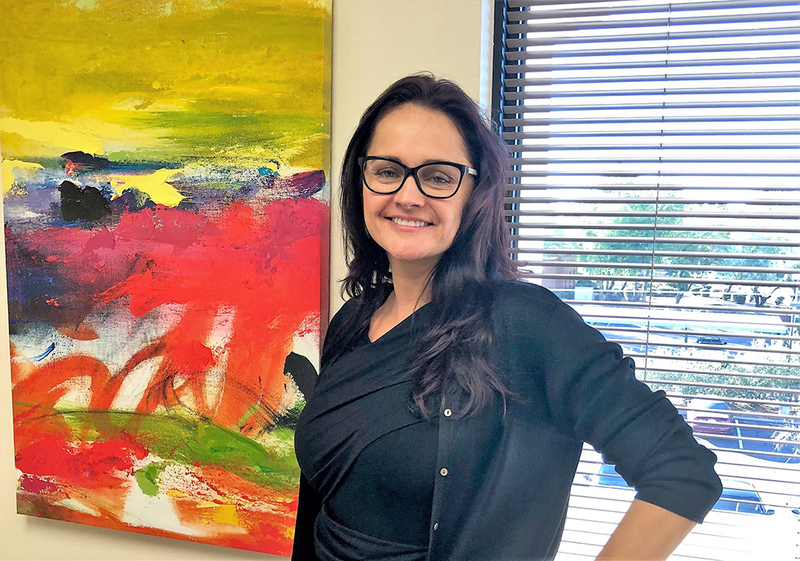 Her primary focus will be on growth of the business by enabling clients to meet their goals through leadership development and employee engagement. Lara is a seasoned senior-level HR professional with over twenty (20) years of experience across multiple corporate industries/demographics. Additionally, she has extensive experience in all aspects of HR, which will also enhance the KYT offering. She lives in Arizona (has for over 22 years), works out of the KYT office in Scottsdale, and is the mother of three (3) amazing children. Her personal passions are family, health/wellness, and a drive for continued knowledge. Here is a nugget…Those of you who are familiar with ProScan and the KYT offering might find it interesting to note that she has the exact same behavior/profile as Lori Coruccini. Its a great start for 2018 and please join me in welcoming Lara to the KYT/Better Learning Systems family! 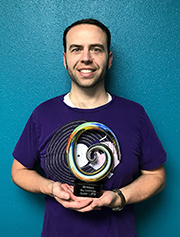 Today I am pleased to announce the newest recipient of our Key Contributor Award, Chip Ehlers. This award is really about who in our companies embraces our core values, Ease, Value and Trust, and make key contributions so we can fulfill our “Why,” which is improving employability every day. Jared: Chip is the ultimate team player and does whatever is needed to help the team win. He isn’t above anything that he is asked. He rolls up his sleeves and figures out a way to get the job done. You can ALWAYS count on Chip. Chad: Chip goes above and beyond in everything that he’s asked to do. One of our programs has had strong growth over 30% the last two years. That means Chip’s workload has grown by that and never once has he asked for relief or additional help. His ability to handle multiple projects and tasks with critical deadlines is second to none. Most recently while in St. George I mentioned that we should probably look to clean up some of our storage areas by the end of the year, but when I came back two weeks ago Chip had it done. Did not have to ask twice, he took care of it. Again, way to go Chip! 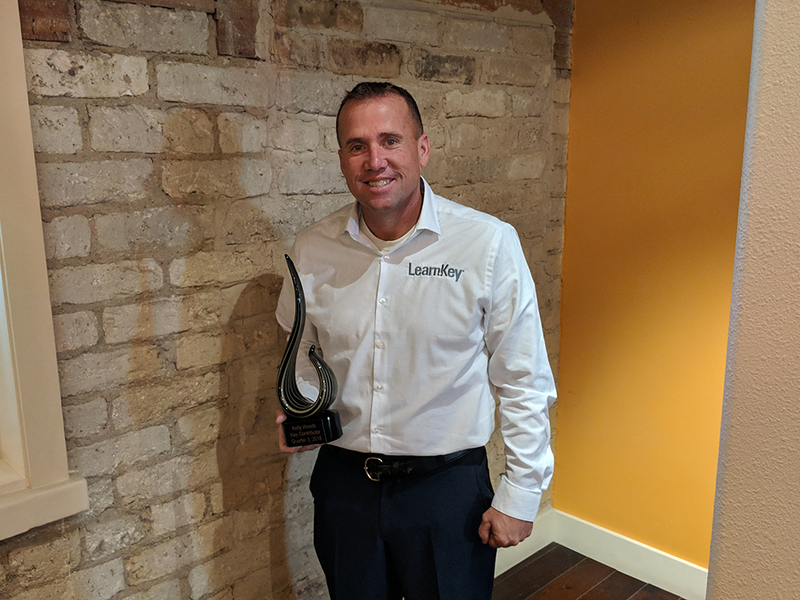 Please join me in congratulating Chip on receiving this award and for sticking to our core values: Ease, Value, and Trust, but most importantly, he truly helps LearnKey Improve Employability Every Day!